New traditional April calendar, with a photo that taken at a unexpected March snow of King Jigme Namgyal Wangchuck of Bhutan and his young son the Gyalsey was published. In Buddhist tradition the new year begins in April. 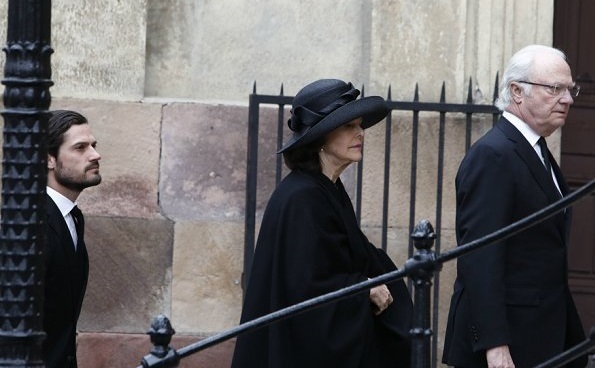 King Carl Gustaf, Queen Silvia and Prince Carl Philip of Sweden attended the funeral service of family friend Carl Adam Göstasson "Noppe" Lewenhaupt held at the Hedvig Eleonora Church on March 31, 2017 in Stockholm. Carl Adam Göstasson "Noppe" Lewenhaupt was a Swedish businessman. Lewenhaupt was reported missing on 28 February 2017, and was found dead in the water outside Gärdet in Stockholm the next day. It is still unclear when and how he ended up in the water. 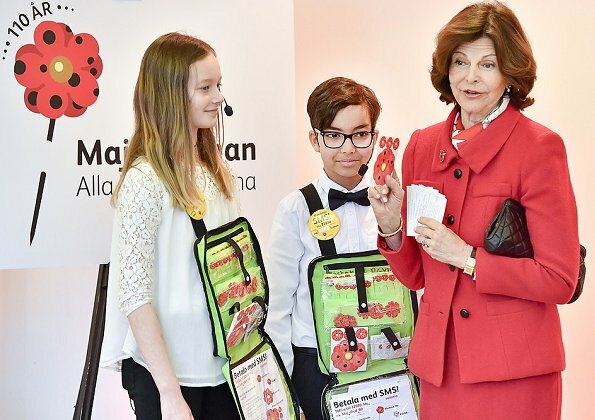 As patron of the Mayflower Charity Foundation, Queen Silvia purchased the first Mayflower pins of 2017 at the Maltesholm school (Maltessholmskolan) in Stockholm. The Mayflower Charity Foundation for Children is Sweden's biggest children's charity. The organisation works to improve conditions for children, and to tackle child poverty in Sweden. The first Mayflower pin was sold in 1907. Dutch Princess Beatrix visits the University of Aruba for two debates of the youth parliament about Economy versus Nature and Tourism versus Identity on March 30, 2017 in Oranjestad, Aruba. 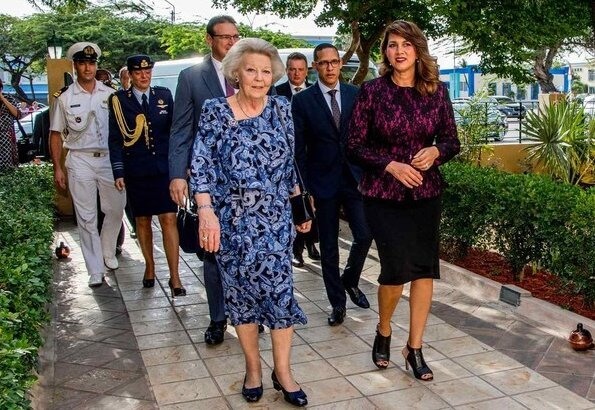 Princess Beatrix is in Aruba for an three day visit. Aruba is one of the four countries that form the Kingdom of the Netherlands, along with the Netherlands, Curaçao and Sint Maarten. Queen Rania of Jordan visited the Queen Rania Family and Child Center (QRFCC)’s newest interactive programs for child and family welfare in Jordan. The Queen Rania Family and Child Center is a community center established in 2005 under the Jordan River Foundation’s Child and Safety Program. Queen Letizia of Spain attend the announcement of the winner of the 'Foundation Princess Girona Award 2017' (FPdGi) in the category of 'Social' at El Hueco on March 30, 2017 in Soria, Spain. El Hueco is a place that fosters an entire environment with optimal conditions for entrepreneurship. The Queen Zara wore coat. 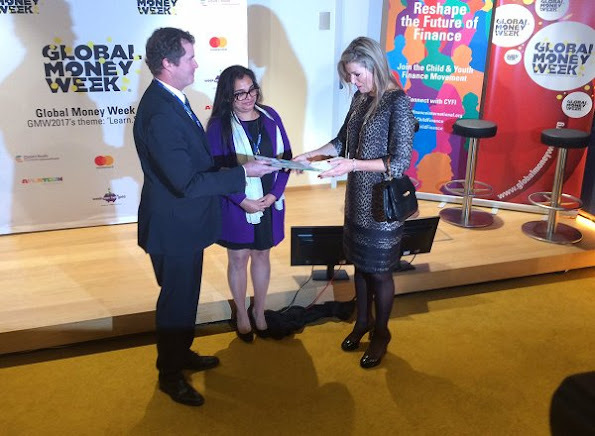 Queen Maxima of The Netherlands attends the Global Money Week 2017, the international version of Money Week at the Dutch Central Bank on March 30, 2017 in Amsterdam, The Netherlands. Queen Maxima wore Natan animal print dress. 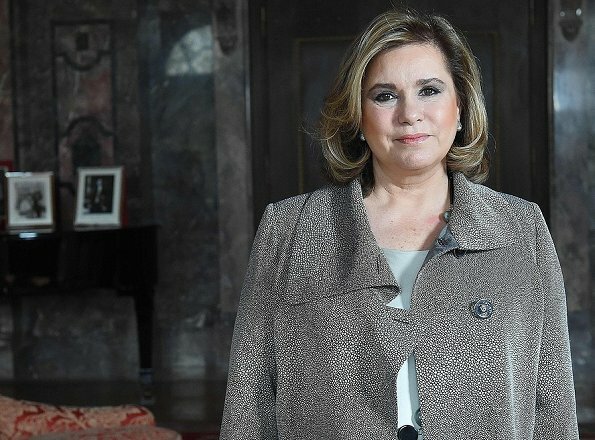 Yesterday, on March 29, King Felipe and Queen Letizia of Spain attend a funeral chapel for Alicia de Borbon Parma, Duchess of Calabria at La Paz morgue in Madrid. Alicia was Duchess of Calabria through her marriage to Infante Alfonso, Duke of Calabria. She bore the title of Infanta of Spain from 1936, and took part in some of the activities that the Spanish Royal Family organises. She was born in Vienna and died on March 28, 2017 (aged 99) in Madrid. In the morning of March 30, King Philippe and Queen Mathilde of Belgium have completed their state visit to Denmark and before they departed from Amalienborg, they sign a window pane. The window panes of the Fredensborg Palace feature hundreds of signatures of visiting heads of state, royals and historically significant people who have stayed at the Palace. 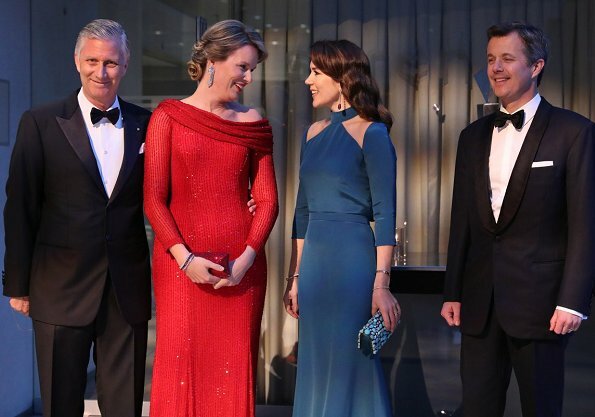 To conclude the state visit, King Philippe and Queen Mathilde hold a reciprocal event at the Black Diamond, with participation by The Queen, Prince Frederik, Princess Mary, Prince Joachim, Princess Marie and Princess Elisabeth. First there held a concert, after which King Philippe and Queen Mathilde and the Danish royal family meet some of the artists. 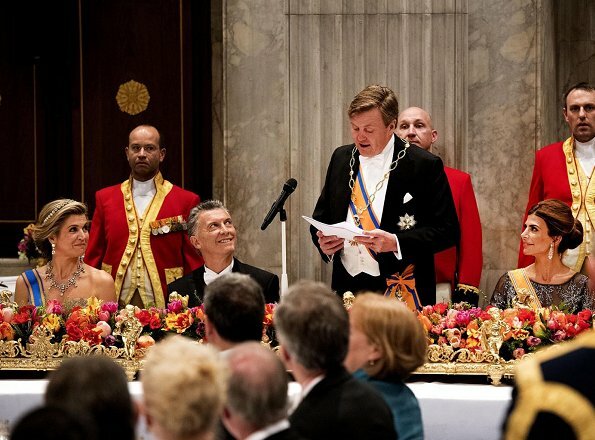 Afterwards, King Philippe and Queen Mathilde host a dinner at Black Diamond. 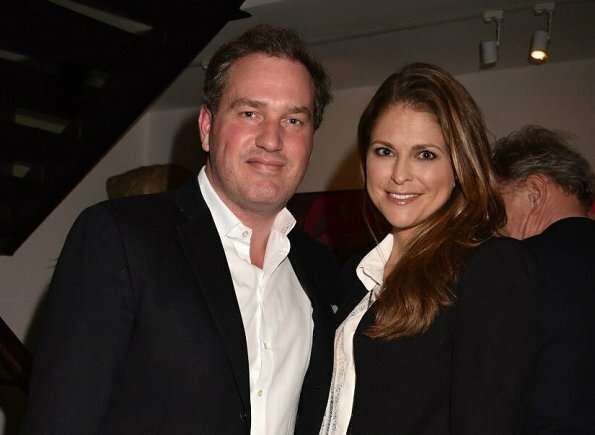 In the evening of March 28, Princess Madeleine of Sweden and Christopher O'Neill attended a charity event at the San Lorenzo in London, UK. A documentary film called "The Calling: Heal Ourselves Heal Our Planet" was watched at the event. 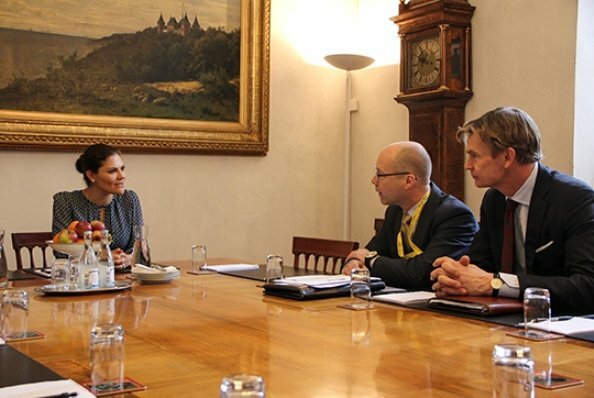 On Wednesday 29 March, Crown Princess Victoria of Sweden met representatives of the Ministry for Foreign Affairs to find out more about Japan. Princess Victoria will visit to Tokyo, Japan, on 18th-21st April, she will attend the International Sustainable Oceans symposium on 19 April. 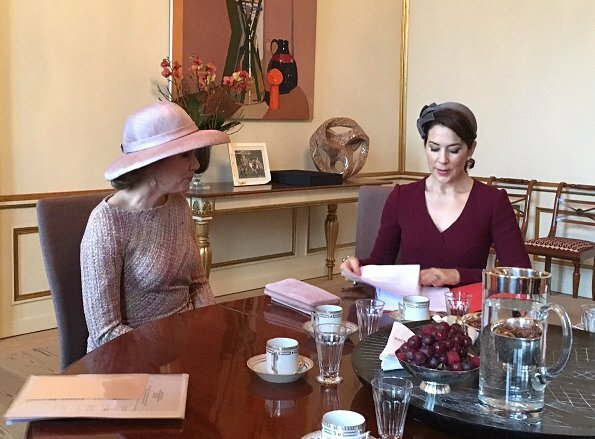 Crown Princess Mary of Denmark and Queen Mathilde of Belgium attended a meeting with the Mary Foundation at Frederik VIII's Palace in Amalienborg. The Crown Princess and Queen Mathilde visited the Amager Fælled School, which works with The Mary Foundation’s anti-bullying project “Free of Bullying”. 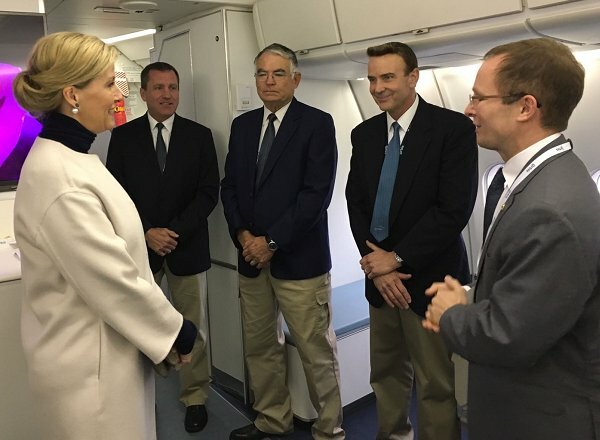 Also the Crown Princess and Queen Mathilde will visit to the UN City in Copenhagen. Catherine, Duchess of Cambridge attended the fundraising dinner held at the National Portrait Gallery on March 28, 2017 in London. 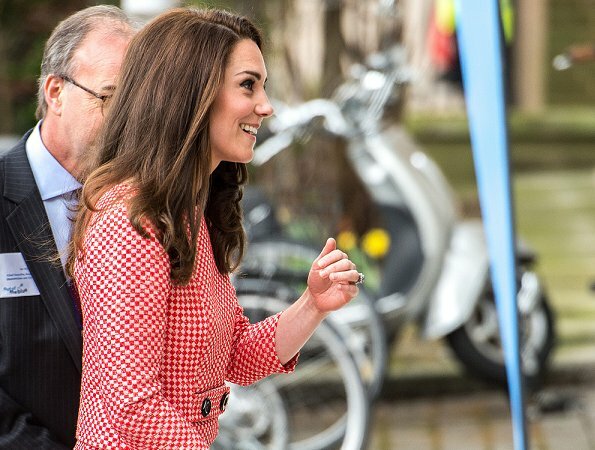 The Duchess of Cambridge has been Patron of the National Portrait Gallery since 2012. Duchess Catherine chose a dark green lace gown by Temperley London for the event. 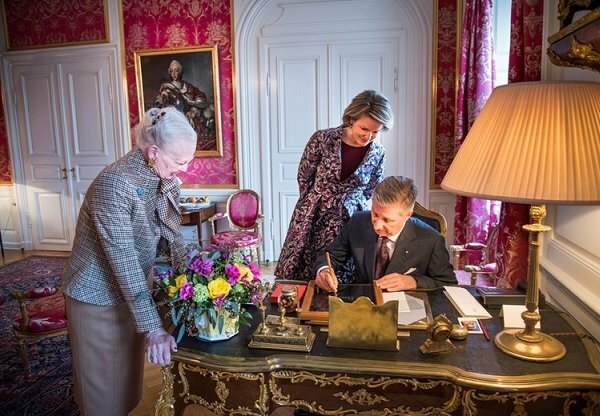 On March 28, 2017, Queen Margrethe hosted State Banquet in honour of King Philippe and Queen Mathilde held at Christiansborg Palace. Attended the state banquet, Crown Prince Frederik, Crown Princess Mary, Prince Joachim, Princess Marie of Denmark. Queen Letizia of Spain met with representatives of Club Estudiantes and their Foundation (Fundación Estudiantes) at Zarzuela Palace on March 28, 2017 in Madrid. On 28 March 2017, Queen Maxima and Argentinian First Lady Juliana Awada visited Center for Youth and Family (CJG) and the Maurice art museum (Mauritshuis, English: Maurice House) in The Hague. The Queen wears Claes Iversen coat and skirt. The Argentinian president and his wife are on a two-day state visit to the country. 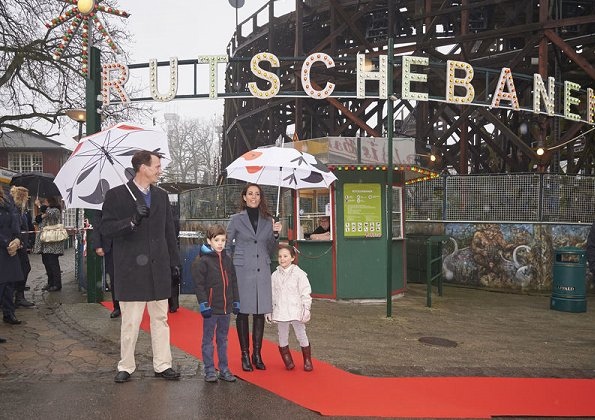 Belgian Royal Couple's three days state visit to Denmark started. 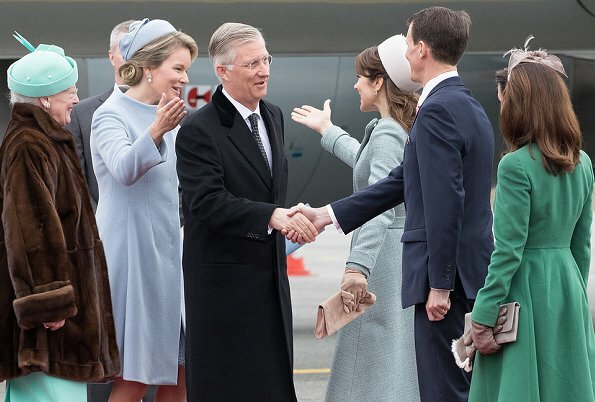 On March 28, 2017, King Philippe and his wife Queen Mathilde are official welcomed by Queen Margrethe, Crown Prince Frederik, Crown Princess Mary, Prince Joachim and Princess Marie of Denmark in Copenhagen Airport. 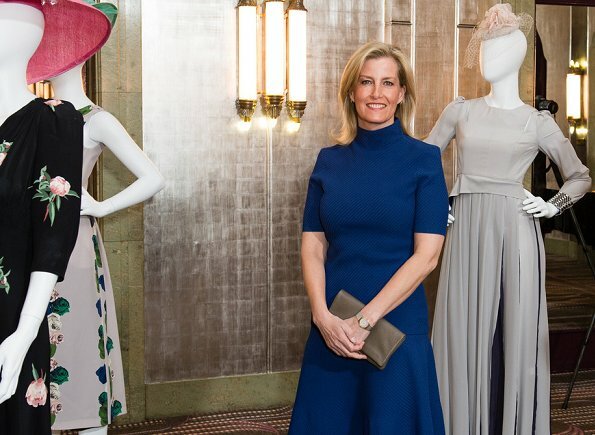 Sophie Countess of Wessex attended the Mencap charity Lunch at Sheraton Park Lane Hotel on March 27, 2017 in London, UK. The Royal Mencap Society is a charity based in the UK that works with people with a learning disability. In 2004 The Countess of Wessex became Mencap's patron. On Monday, March 27, 2017, Queen Mathilde of Belgium attend the opening ceremony of the 'Week of Money' at the NYSE Euronext Brussels Stock Exchange in Brussels. 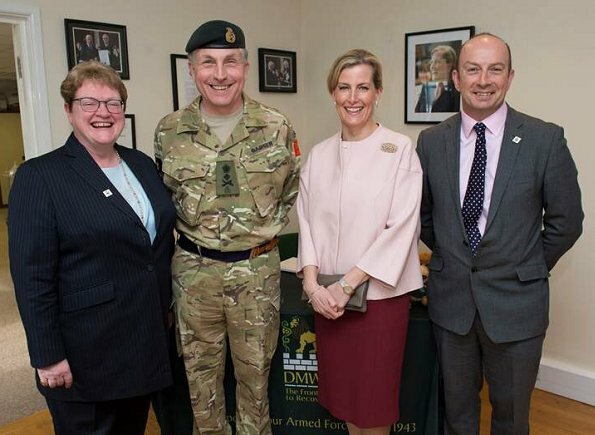 The Queen gave a speech about financial education and the sustainable development goals. 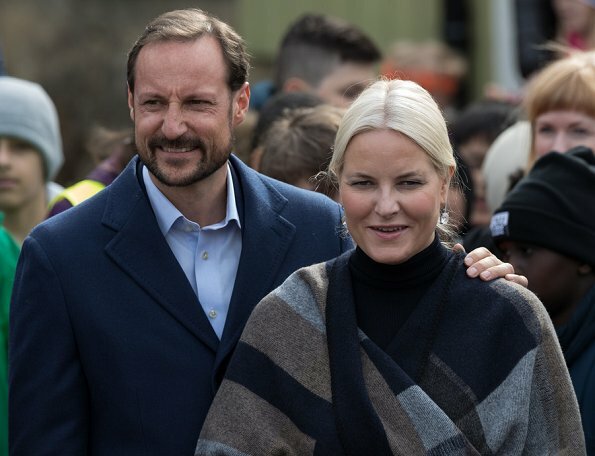 On March 27, 2016, Crown Prince Haakon and Crown Princess Mette-Marit of Norway visited the Ice Lake forest in Bjerke District in Oslo. The Crown prince and crown princess met with the local people during her visit to Bjerke. Queen Rania of Jordan attended the Teacher Skills Forum at Rania Teacher Academy in Amman. The forum, is a conference hosted by the Queen Rania Teacher Academy in partnership with the International Baccalaureate program. This year’s gathering focuses on the process of restructuring the way in which educators teach in order to enrich their students’ learning experiences. 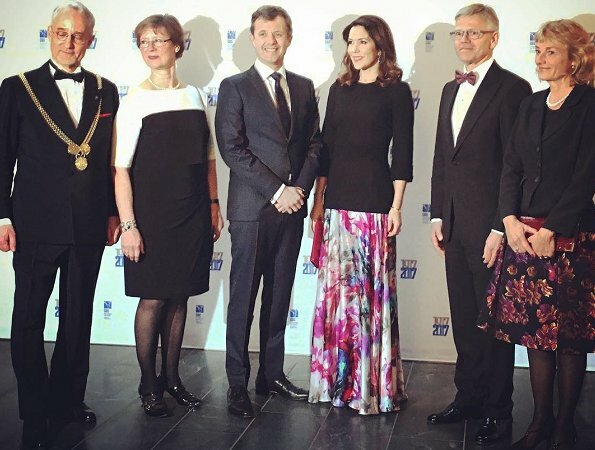 On March 24, 2017, Crown Prince Frederik and Crown Princess Mary participated in gala dinner that held on the occasion of Copenhagen Business School's centenary anniversary in the Kiln Hall at Porcelænshaven in Frederiksberg, Denmark. 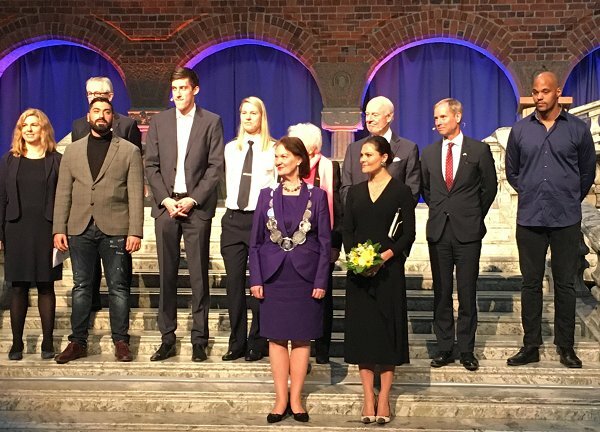 On March 24, 2017, Crown Princess Mette Marit of Norway attended events held in connection with the Amandus International Student Film Festival for Young Filmmakers in Lillehammer. The festival is the result of the merging between the Amandus Festival, an established festival for young film makers under the age of 20 in Norway, and The Norwegian Student Film Festival, the only festival solely dedicated to student film productions in Norway. 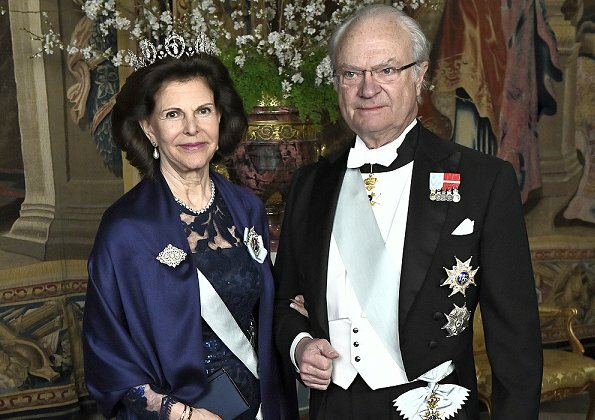 In the evening of March 23, 2017, Thursday, King Gustaf and Queen Silvia of Sweden hosted the first official dinner of the year at the Royal Palace of Stockholm. The official dinner was attended by Crown Princess Victoria, Prince Daniel, Prince Carl Philip and Princess Sofia of Sweden. 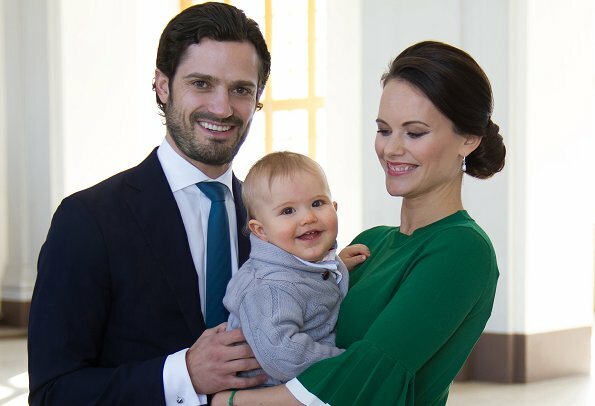 The Swedish Royal Court announced today that Prince Carl Philip and his wife Princess Sofia, are expecting their second child. "We are happy to announce that we are expecting a child, a sibling to Prince Alexander. We are looking forward to welcoming a new little member to our family," says Prince Carl Philip and Princess Sofia. The birth is expected to take place in September 2017. No changes in the schedule of The Prince Couple's public engagements are planned during the spring and summer of 2017. Queen Letizia of Spain attend the opening of the 7th European Conference 'Tobacco or Health' (ECToH) organized by Portuguese League Against Cancer (LPCC) on March 23, 2017 in Porto, Portugal. The purpose of the conference is to mobilize people/citizens to improve health through tobacco control policies in Europe and Worldwide. 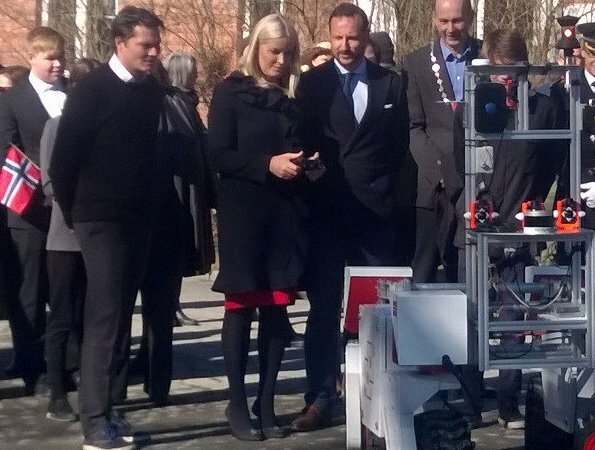 On March 23, 2017, Crown Prince Haakon and Crown Princess Mette-Marit of Norway visited the Norwegian University of Life Sciences - NMBU (Norwegian: Norges miljø- og biovitenskapelige universitet, NMBU) in Ås, Akershus. 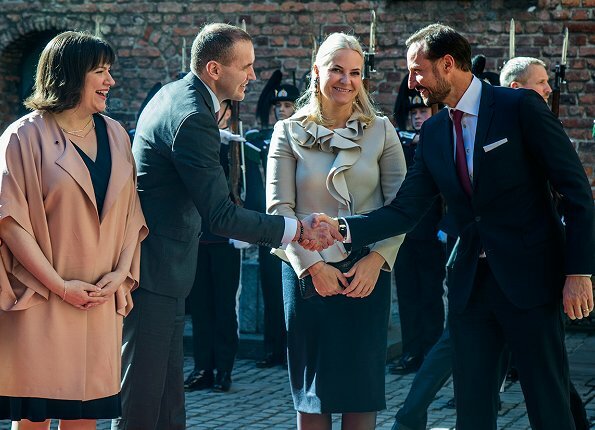 King Harald, Queen Sonja, Crown Prince Haakon and Crown Princess Mette-Marit of Norway attended the Government's a luncheon that held in honour of President Gudni Johannesson and his wife First Lady Eliza Reid at the Akershus Fortress in Oslo. Queen Maxima of The Netherlands attended a symposium on "Tomorrow More Music in the Classroom" held at the Noordeinde Palace on March 22, 2017 in The Hague. The symposium was realized by the attendance by Prof. Erik Scherder, Professor of Clinical Neuropsychology at the University of Amsterdam. On March 22, 2017, Japanese Princess Aiko graduated from junior high school in a ceremony that held at the Gakushuin Girls’ Junior High School in Tokyo, Japan. Her parents, Crown Prince Naruhito and Crown Princess Masako of Japan, attended the ceremony at Gakushuin School. 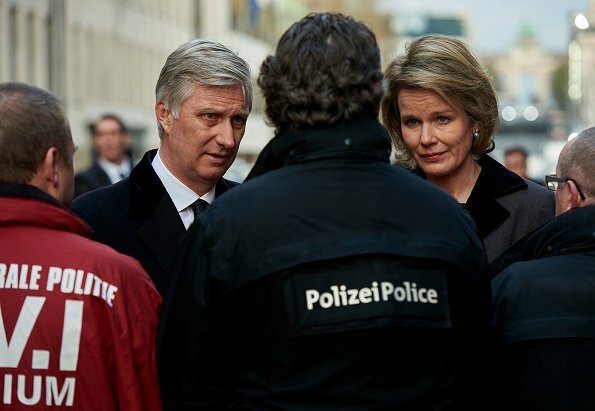 On March 22, 2017, Queen Mathilde and King Philippe of Belgium attend a memorial ceremony to mark the first anniversary of the Brussels attacks by Islamic extremists at Brussels' airport in Zaventem. Brussels terrorist bombings in both Zaventem airport and Maelbeek metro station killed 32 people and injured 260 others. 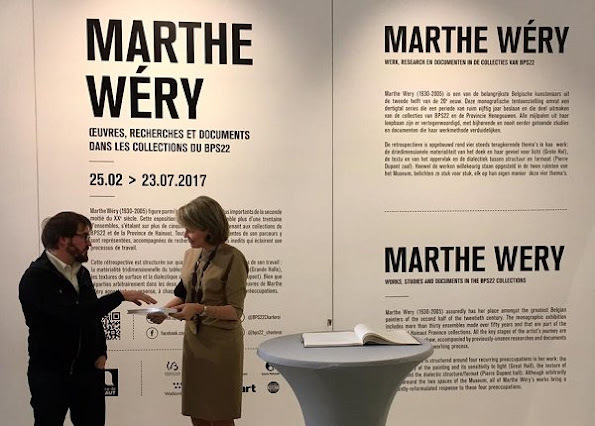 Yesterday, on March 21, 2017, Queen Mathilde of Belgium visited the Marthe Wéry exhibition at BPS22 Art Center in Charleroi, Belgium. The exhibition thus offers an overall vision over her entire work and that comprises key pieces as well as many rare and never seen before documents. 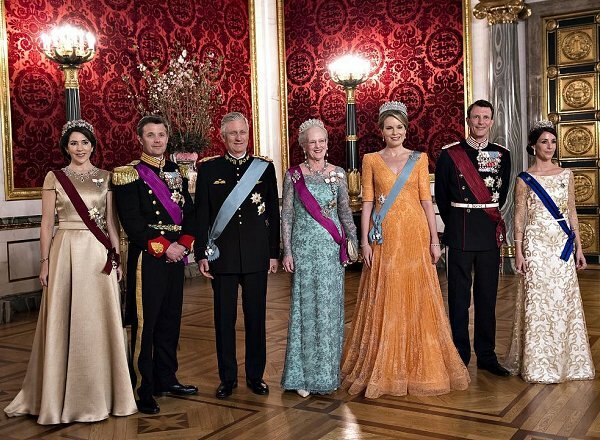 In the evening of March 21, 2017, King Harald and Queen Sonja of Norway held a gala dinner in honour of the Iceland's President Gudni Johannesson and his wife Eliza Reid at the Oslo Royal Palace. 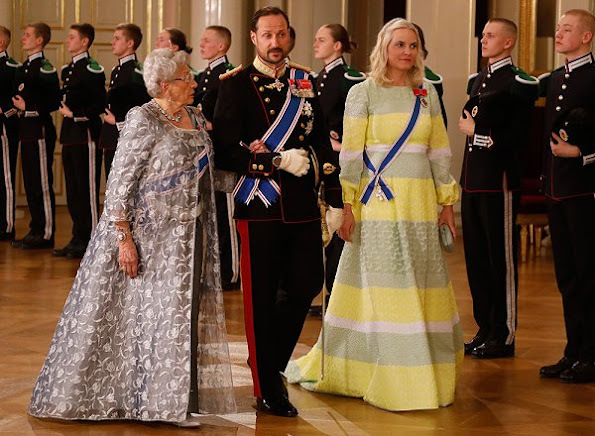 The gala dinner was attended by Crown Prince Haakon, Crown Princess Mette-Marit and Princess Astrid, Mrs. Ferner. 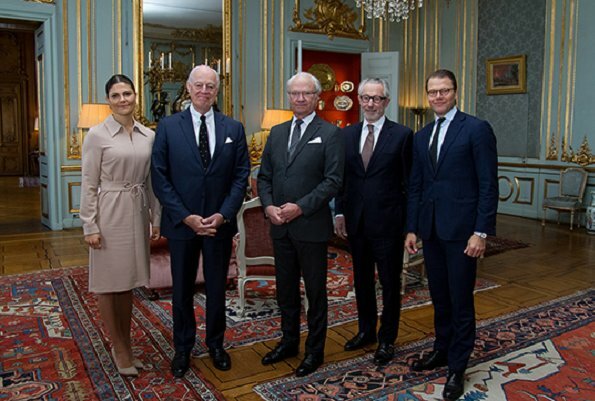 Today, King Gustaf of Sweden, Crown Princess Victoria and Prince Daniel hosted a lunch at the Stockholm Royal Palace for Italian-Swedish diplomat Staffan de Mistura who is currently in Stockholm for the Peace Talks 2017 and is the Syria Special Ambassador of General Secretary of United Nations. 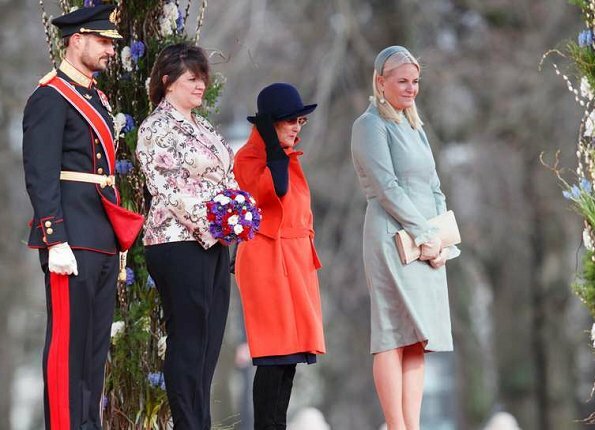 King Harald V, Queen Sonja, Crown Prince Haakon, Crown Princess Mette-Marit and Princess Astrid welcome their guests the President of Iceland Gudni Johannesson and his wife Iceland's First Lady Eliza Reid on March 21, 2017 at the Royal Palace in Oslo. 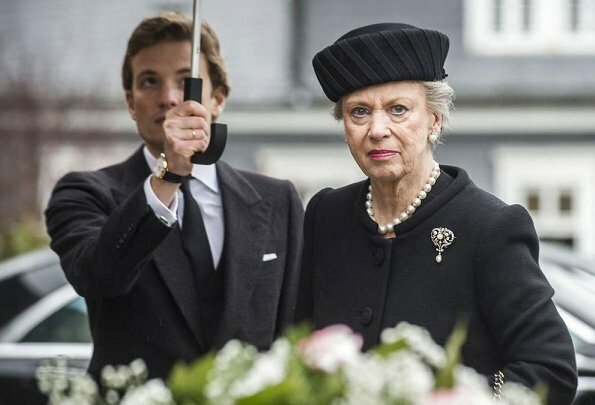 On March 21, 2017, Queen Margrethe, Princess Benedikte, Queen Maxima, King Willem, Queen Silvia, Princess Madeleine, Crown Princess Mary, Princess Marie, Princess Beatrix, Princess Alexandra, Count Richard, Countess Ingrid, Princess Nathalie and other royals attended the funeral of Prince Richard of Sayn-Wittgenstein-Berleburg held at Bad Berleburg Evangelical Church (Evangelische Kirche) of Germany. Prince Richard, husband of Danish Princess Benedikte, died 13 March. 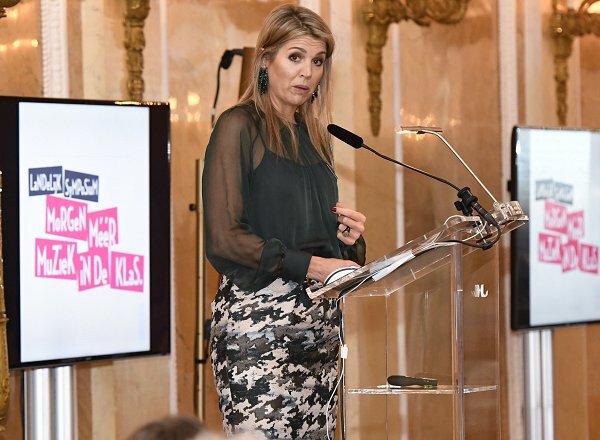 On March 21, 2017, Queen Maxima of The Netherlands attend the opening of the 3rd edition of the "Impact Summit Europe 2017" at the Peace Palace in The Hague. The international meeting, a platform for knowledge exchange for investors, focuses on ‘’impact investing’’, a form of investment which aims for positive social impacts and financial returns. The Queen wore Natan print dress. Sophie, Countess of Wessex visited the Orbis flying eye hospital at Stansted Airport on March 20, 2017 in Essex, London. Eye charity Orbis's new Flying Eye Hospital is equipped with an onboard operating theatre to perform eye surgery to treat avoidable blindness in Africa, Asia and Latin America.